Here at Outdoor Project, we're not about telling you what you can and can't do, but we are all about offering suggestions. So we thought we'd give advice on places to save for a fall or winter adventure--that is unless you thrive on a challenge or have the metabolism of a lizard. These places are just TOO hot in the summer for most people to comfortably or safely abide, but we're not trying to judge. Death Valley National Park, known as the lowest, driest, and hottest place in the country, is pretty obviously not the most attractive summer destination, unless you're into that sort of thing. Summer temps commonly reach 120°F, hot enough to make the pavement sticky and to roast just about anyone. If you do go: stay in the AC as much as possible. Many of the park's highlights are only a short walk from the car, so you can minimize your time in the inferno. The Sandy Glacier Ice Caves are cavities eroded in Mount Hood's glaciers. As some of the most impressive ice caves anywhere, they are tempting but well guarded by a technical mountaineering route. This can be legitimately dangerous in summer, when warm temperatures make the ice and snow packs unstable. 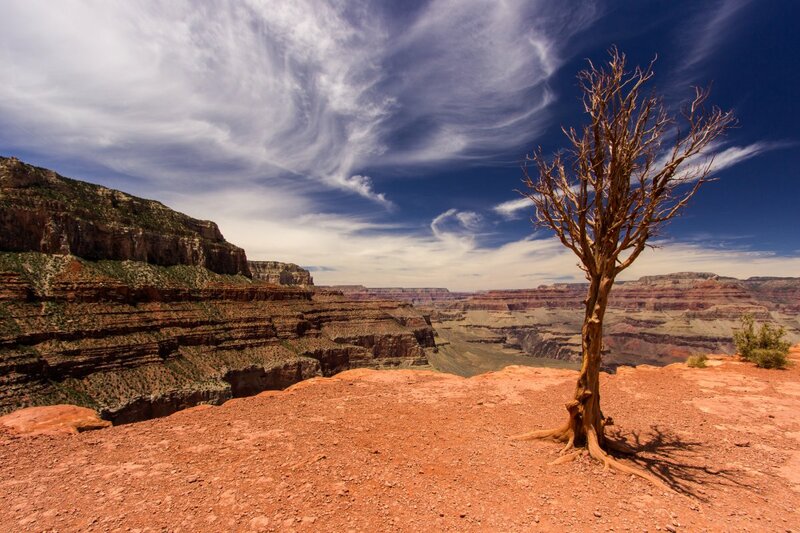 Not much shade on Cedar Ridge, Grand Canyon National Park. Photo by Dan Sherman. The bottom of the Grand Canyon bakes in the summer, though the chilly Colorado River is one saving grace. The rim stays breezy and deceptively tolerable, but as you go down the temperature goes up. Backpackers and day hikers should be mindful of temperatures and exposure. If you do go: Pack based on the availability of drinking water on your route, which varies with each trail. Just as important as water are electrolytes, so bring plenty of salty snacks to stay fueled. A great idea is to hike in the very early or late hours. Though you may miss out on some scenery, your body will thank you for avoiding the sun. Wild Willy's Hot Spring near Bishop, California is an incredible hot spring in a land of incredible hot springs. Perfectly formed pools with gravelly bottoms sit amidst a circle of high mountains. This is a very popular soaking spot, but the 95-100°F is not very comfortable in the heat of summer. If you do go: Soak after dark. Cool night air makes the hot water enjoyable. Be sure to also bring plenty of water because your body will constantly perspire and become dehydrated. Steep climbs on the Slickrock Trail. Photo by Brant Hanson. 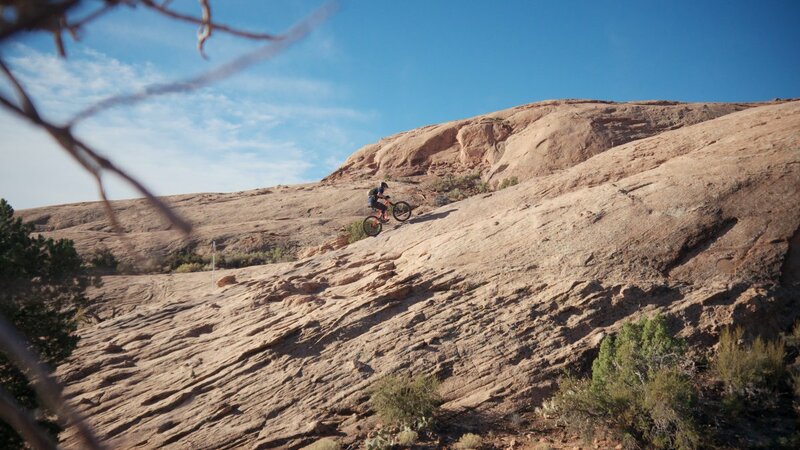 Famous among mountain bikers, the Slickrock Trail in Moab, Utah, offers roller-coaster riding like no place on Earth, but it fries in the summer sun. The 10-mile trail is entirely upon solid sandstone, and some patches of sand that heat up like pavement. Whatever the day's temperature is, expect it to be 10-15°F warmer over the heat-emitting slickrock. If you do go: Ride during the early morning or late evening. Sand Flats Recreation Area is accessible 24 hours a day, and camping is available close to the trailhead. The ride can be unexpectedly slow, even for experienced riders, because of the unique terrain, so be prepared with plenty of water and food. These are just a few of the sultry summer destinations that we definitely recommend, but maybe not in the summer. Check out the list below for even more destinations that heat up in the sun, but shouldn't be missed. You can save them for a cooler season, or take on the full blast of summer heat. Your choice.